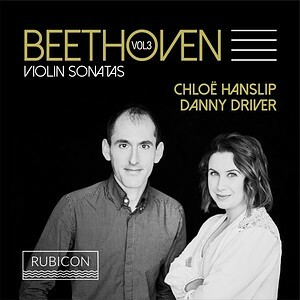 The final release in the critically acclaimed cycle of Beethoven’s Sonatas for Piano and Violin, recorded live at Turner Sims during 2017. The disc includes the epic "Kreutzer" Sonata, described by the composer as being in the style of a concerto for violin and piano and composed for George Polgreen Bridgetower, who gave the first performance with Beethoven in May 1803. The enigmatic and beautiful Op 96 G major Sonata, composed for Pierre Rode, and the vibrant A major Sonata Op 12/2 from the late 1790s complete the record.